Static Discos is proud to release the debut EP of Transgresorcorruptor. 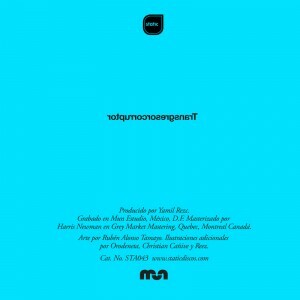 Transgresorcorruptor is the experimental music project of Yamil Rezc, a Mexican musician and producer who has worked with Sub-Division, Hello Seahorse!, Zoe and Kampion. As Transgresorcorruptor, Yamiz Rezc took the sounds of a Harpischord and created three pieces that gradually expand, bounce, crash and collapse into a wall of exploratory ambient and noise, underpinned by a detailed aesthetic that is both fragile and intense. According to Yamil Rezc, Transgresorcorruptor is an exercise that helps him enjoy music that is more structured and melodically direct. Transgresorcorruptor was produced by Yamil Rezc. 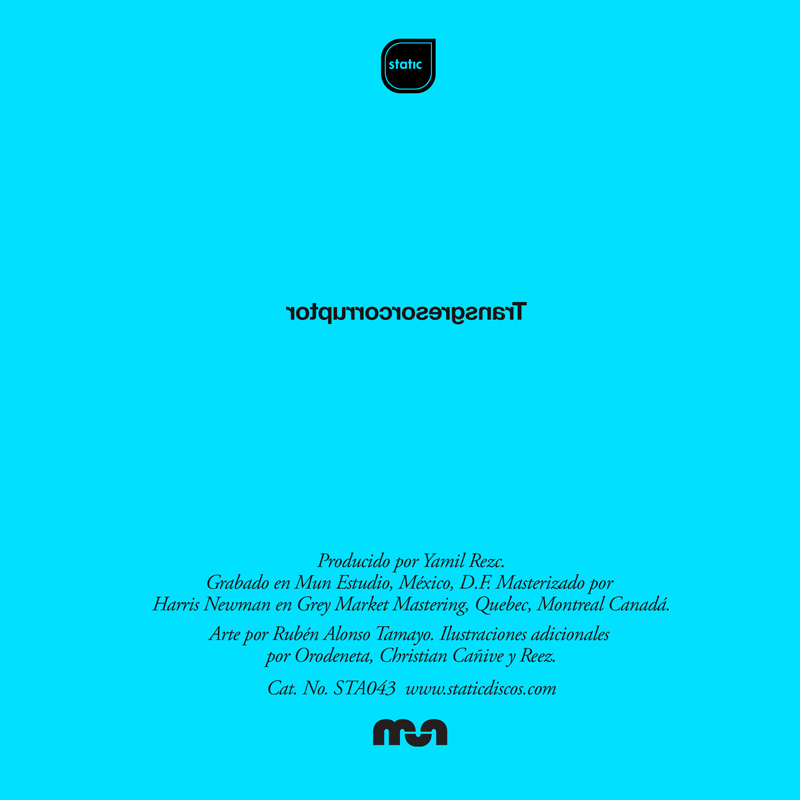 Recorded at Mun Estudio in México City. Mastered by Harris Newman at Grey Market Mastering in Quebec, Montreal. Artwork by Rubén Alonso Tamayo. Additional illustrations by Orodeneta, Christian Cañive and Reez. Stream on Spotify or buy on iTunes or Beatport.